Do fictional battles hold up under modern military scrutiny? Dr. Timothy Furnish has almost three decades of education and experience in history, religion, culture, politics, and geopolitics. Given his experience and interests, it was a natural progression to examine the military strategies of Middle-earth. In his search for books on the subject, he found none that satisfied the questions burning in his mind. Obviously, he would have to write the book he wanted to read. The book includes full-color illustrations by artist Anke Eissman, which bring the scenarios vividly to life. Additionally, the expert mapping skills of Aaron Siddall (me!) make it easy to follow strategies, battles and landscapes. Furnish examines the battles and artillery from the perspective of the cultures and politics of the different groups involved: elves, dwarves, men, and orcs. His enthusiasm and expertise is woven throughout the text. High Towers and Strong Places: A Political History of Middle-earth by Tim Furnish should be a welcome addition to the libraries of anyone who is interested in military strategy, as well as gamers and Middle-earth fans. This quality publication may be purchased HERE. This entry was posted in Uncategorized on March 27, 2016 by ArtMercenary1. 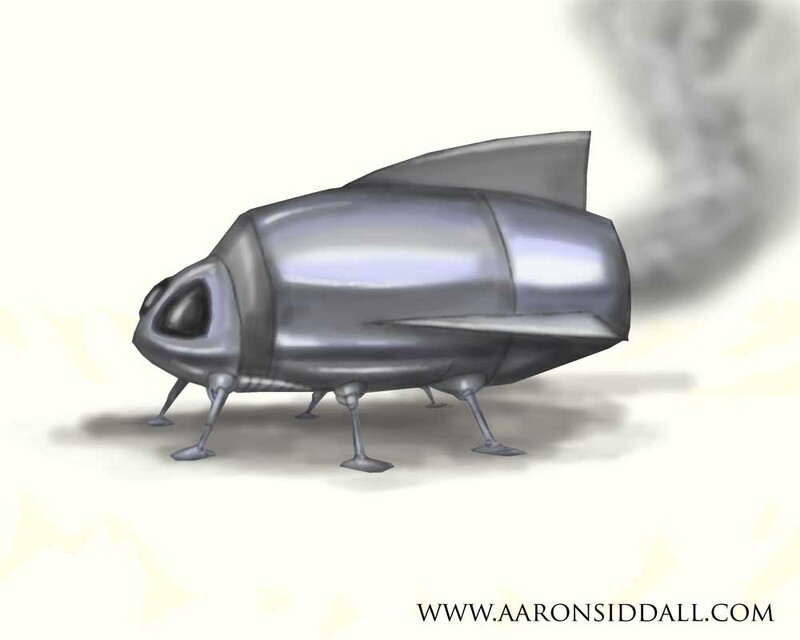 So many things are in the works here at Aaron Siddall Illustration that I hardly know where to start. My buddy Joe Clifford Faust and I have decided on a collaboration. Dont want to get into too much detail at this point, but suffice it to say that it will be a Young Adult, Science Fiction story loaded with cool artwork produced by yours truly. 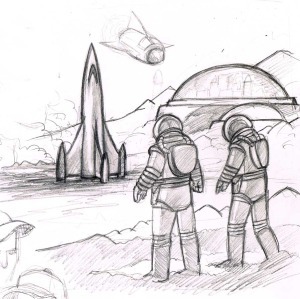 To the left are some of the concept sketches for some of the aliens. 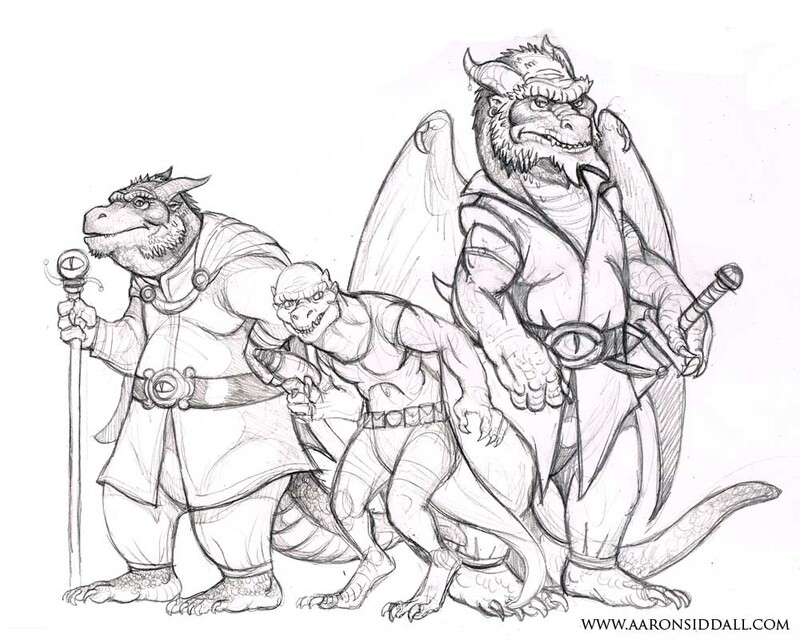 These grisly fellows are all denizens of the Alpha Draconis (aka Thuban) system. They are an ancient species with many subraces. As well as looking cool this also means that they are deeply set in their ways, and find concepts such as bettering yourself, warm-bloodedness and free trade as offensive in the extreme. So expect lots and LOTS of updates, hints and teasers as this project progresses. While Joe is slaving away in his writers dungeon< I will be doing the same in my artists lair. So stay tuned! And with that, I leave you a spaceship. VROOOOOM! 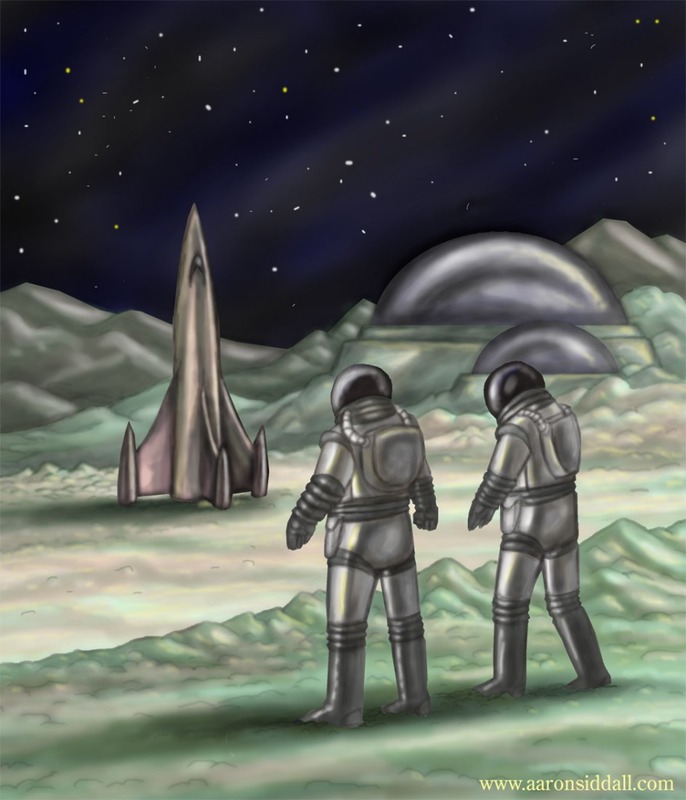 This entry was posted in Projects, Science Fiction on September 29, 2014 by ArtMercenary1. Good news! Donita K. Paul and Aaron Siddall (me) have published a book! House on Troll Hill is an excellent reading aid as well as a fun story for the young and young at heart. A reasonably priced, much-needed addition to books for beginning readers. House on Troll Hill presents just the right content to seize a reluctant reader’s attention and motivate him to push forward. When a young reader chooses a book, he picks up something that won’t make him look silly among his classmates. Puppies and kitties, turtles and fish, drawn with an eye for cutesy and color, give off the aura of “baby books.” It’s no fun to struggle through reading while your friends snicker. An appealing book does not advertise its low level. 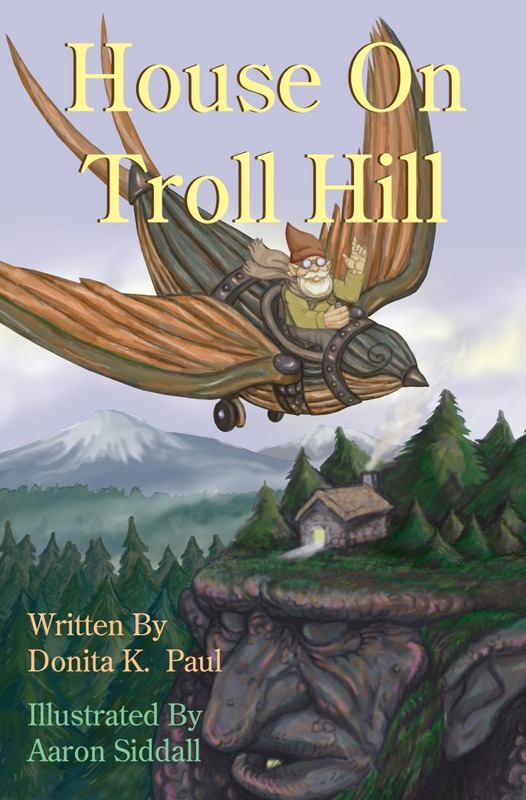 The combination of story by bestselling fantasy author, Donita K.Paul, and illustrations by master of line art, Aaron Siddall, gives parents and teachers a book to put in the hands of reluctant readers. So come on by and get a copy! THis book is a perfect gift for kids and other reluctant readers. This entry was posted in Uncategorized on September 26, 2014 by ArtMercenary1. Well, here we are. The old website was looking a bit long in the tooth, so I decided to do re-build. We are still upgrading around here so please be patient. Lots of new art and some excellent news on the way, so stay tuned!